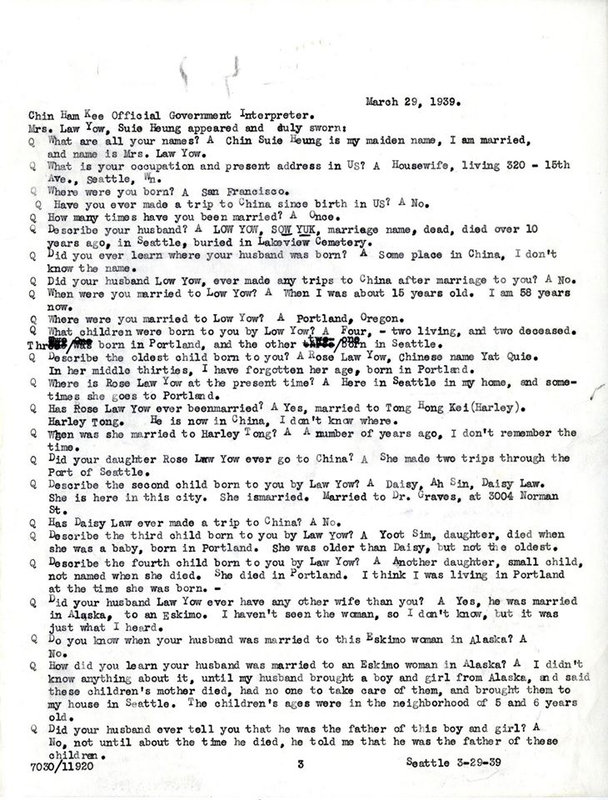 Low Yow Edwin, photo, Chinese Exclusion Act Case Files, RG 85, National Archives-Seattle, Seattle file 7030/11920. Her father, Edwin Law Yow, was a mechanic for the Flying Tigers during the World War II. 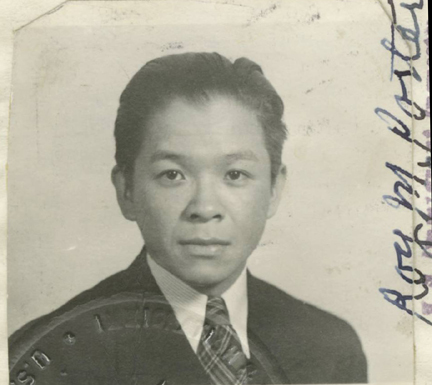 Before he enlisted he applied for permission to travel abroad, and during the application process his stepmother, Mrs. Law Yow, and other witnesses were called to testify on his heritage. Listed above is his and his stepmother’s testimony where she speaks of her husband’s deathbed confession—just the information Rhonda had been seeking. 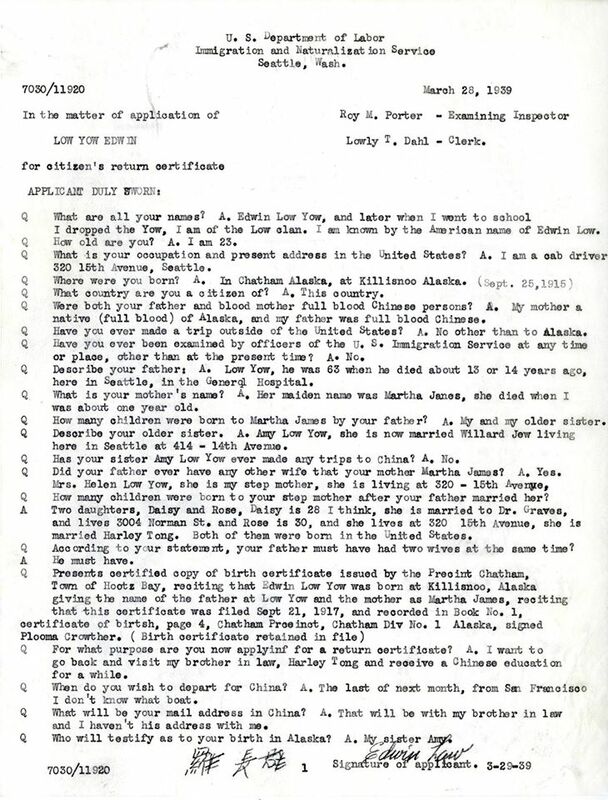 The interrogation also references a birth certificate in Alaska. Rhonda’s discovery was even more emotional and exciting because she found his file a few days before Father’s Day. There is a lot of serendipity involved in searching for your ancestors.